Across 30 years of Predator movies, many filmmakers have tried their best to make something unique and compelling. They vary drastically in tone and plot, ranging from the rainforest of Central America to the streets of Los Angeles to an alien planet to subzero Antarctica to suburban America, but one thing remains the same: after all these films, we still don’t know very much about the Predator. 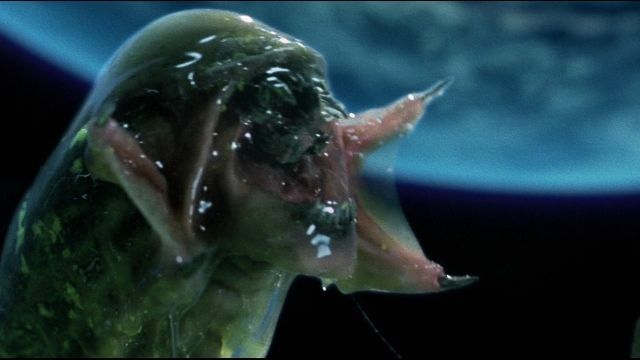 This is a stark contrast to all the information we’ve gained about the Xenomorphs in the Alien franchise. What the former lacks in plot it more than makes up for in truly great action sequences and set pieces though. The most recent iteration of the Predator franchise seems like a match made in heaven: Shane Black, the darkly comedic filmmaker who actually appeared in the first film, and the Predator itself, an absurd and mysterious creature in need of a revival. While critics might be divided over the most recent film, just as they’ve often been divided over the entire franchise as a whole, there’s no denying that there are plenty of great moments throughout the series of four films (or six films, if you count AVP: Alien vs. Predator and AVP: Requiem… which we did). Beware: this list includes spoilers for all the Predator films. 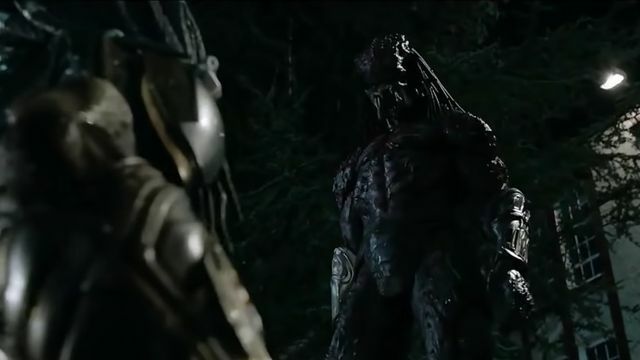 Shane Black’s latest entry in the franchise was met with mixed reviews, but he honestly does a great job bringing tons of new and interesting elements to the Predator universe — one such example is none other than the enormous Predator introduced in the first half of the film. Purchase now on Amazon for $24.99. It’s a classic scene, one of high stakes and ingenuity. 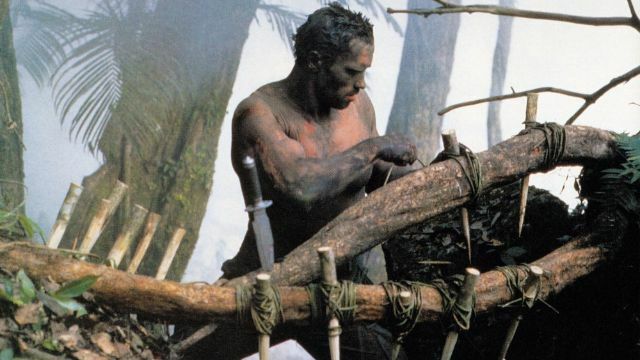 Arnold Schwarzenegger’s character Dutch is going up against the Predator on his own, forced to use only the resources found in the rainforest to trap and kill the creature. It’s iconic and smart and a whole lot of fun. 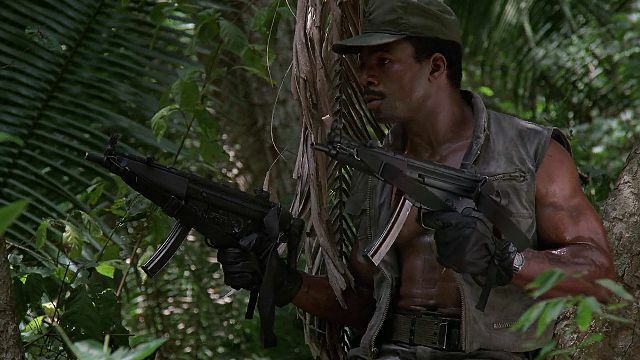 Another iconic moment — especially if you’ve seen Arrested Development — is the scene where Carl Weathers’ character Dillon loses his arm battling the Predator. It’s unexpected and campy and, honestly, it looks pretty gnarly. These movies aren’t canon, but they’re still worth checking out based solely on the inclusion of the Predator-Alien hybrid introduced at the end of the first film and brought to fruition in the second. It’s a clever idea, and one that yields deadly results. Purchase the double-feature now on Amazon for $14.88. 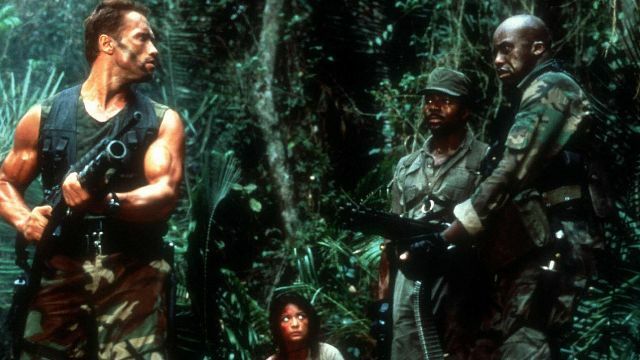 The second Predator film is one of the most baffling and distinct movie sequels to come out of the 90s. It’s so different from its predecessor and so unashamed of it, too. 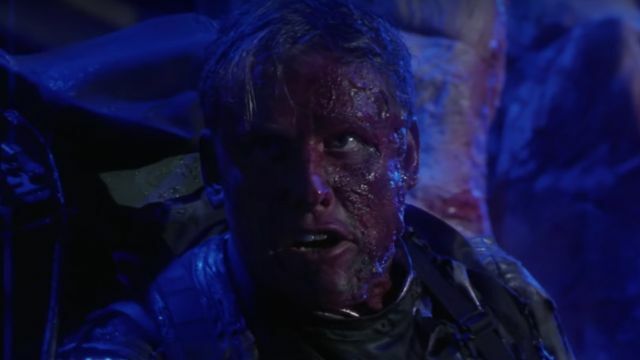 Gary Busey fits right into its absurdness, going one-on-one with a Predator during the second act. He holds his own pretty well, too. For all its silliness, there’s plenty of originality in the second Predator film. One such instance is the decision to include multiple Predators, all with distinct looks. This is something that has been included in each sequel since Predator 2, and is essentially one of the most important parts of the series’s DNA at this point. 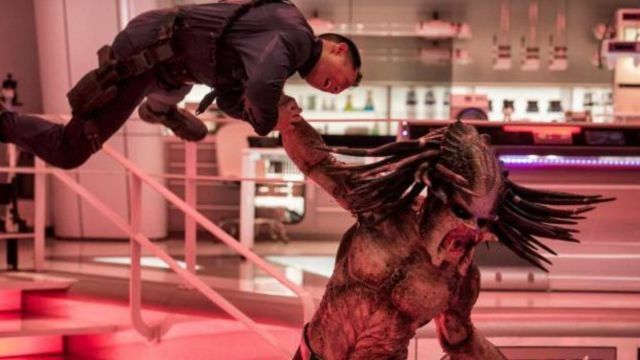 Predators kind of came out of nowhere, arriving 20 years after Predator 2 and bringing its own unique flair to the franchise. The cast is great, the premise is exciting, and the action is really inspired. The trophy scene is a prime example of what makes the movie worth watching. Shane Black is not one to shy away from grittiness or gore — which is part of makes him perfect for this franchise. Early on, scientists have a Predator strapped down to a table and sedated into submission. They’re planning to analyze it (and probably dissect it) when it gets woken up and breaks loose. The ensuing rampage is one for the Predator history books. 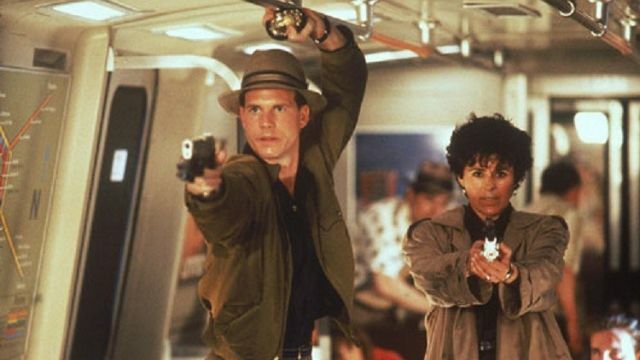 Bill Paxton’s career has ranged from Aliens to Predator 2, making him one of the best parts of both sequels. He fights off a Predator down in the Los Angeles subway system, bathed in fluorescent lights and smoke from a nasty crash just moments before he goes toe-to-toe with the creature. Like any franchise born in the 80s, this series has some really great one-liners. As the films go on, each filmmaker tends to put their own little twist on them. 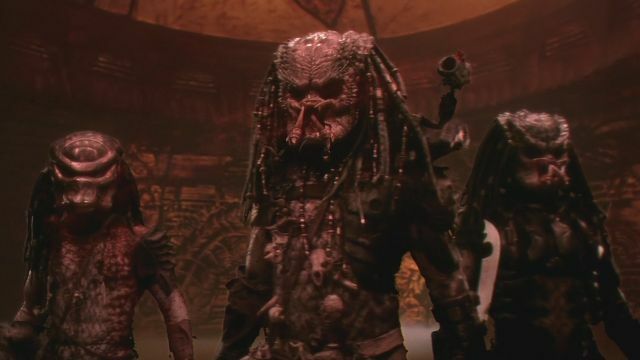 Like, hearing a Predator call a human “One ugly [blank]” in Predator 2 is almost as good as hearing Olivia Munn call a Predator beautiful or hearing Adrien Brody begging the Predator to kill him, Arnold-style. These movies are ridiculously entertaining, and the filmmakers all seem to know it.